All Americans, regardless of political perspective, can take inspiration from the titans who faced off in this epic confrontation. Their words are amazingly current. Every argument over America’s role in the world grows from this one. It all starts here. 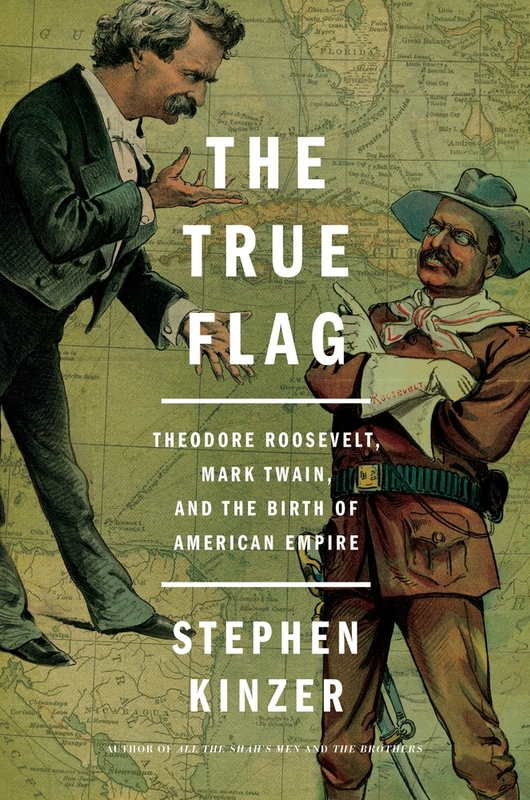 Stephen Kinzer discusses 'The True Flag: Theodore Roosevelt, Mark Twain, and the Birth of American Empire' on NPR's Fresh Air. Stephen Kinzer is the author of The Brothers, Reset, Overthrow, All the Shah’s Men, and other books. An award-winning foreign correspondent, he served as The New York Times’s bureau chief in Turkey, Germany, and Nicaragua and as The Boston Globe’s Latin America correspondent. He is a senior fellow at the Watson Institute for International and Public Affairs at Brown University and writes a column on world affairs for The Boston Globe. He lives in Boston.